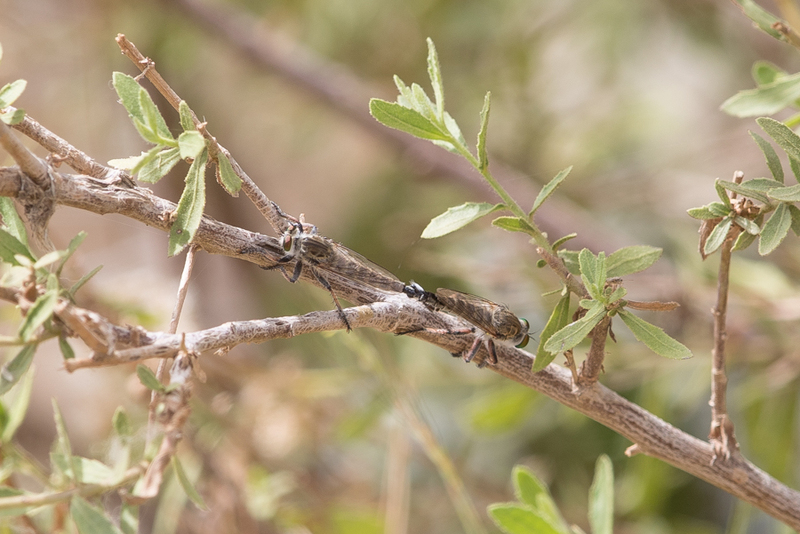 Whilst birding Wadi Thee Ghazal I came across two Robber Flys. These were the first ones I had seen in Saudi Arabia and then amazingly a few weeks later I saw a similar one near Tanoumah several hundred kilometres south of the first sighting. 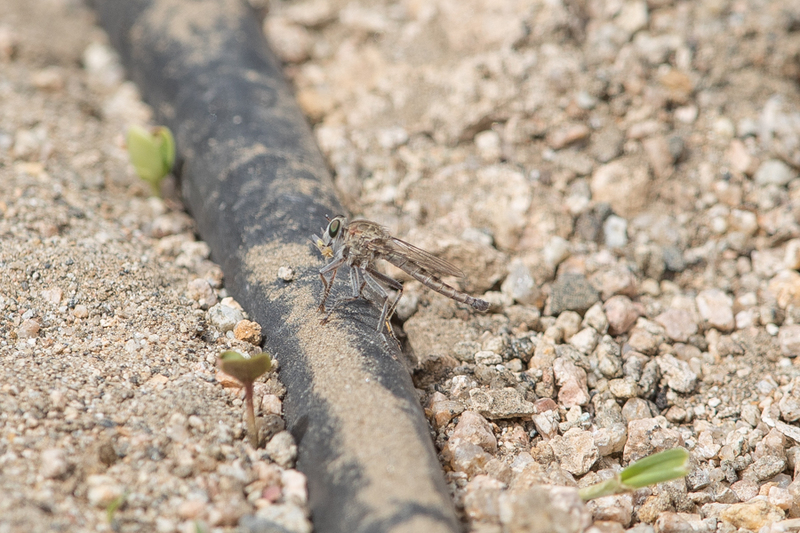 The Asilidae are the robber fly family, also called assassin flies and have 7000 described species. They are powerfully built, bristly flies with a short, stout proboscis enclosing the sharp, sucking hypopharynx. 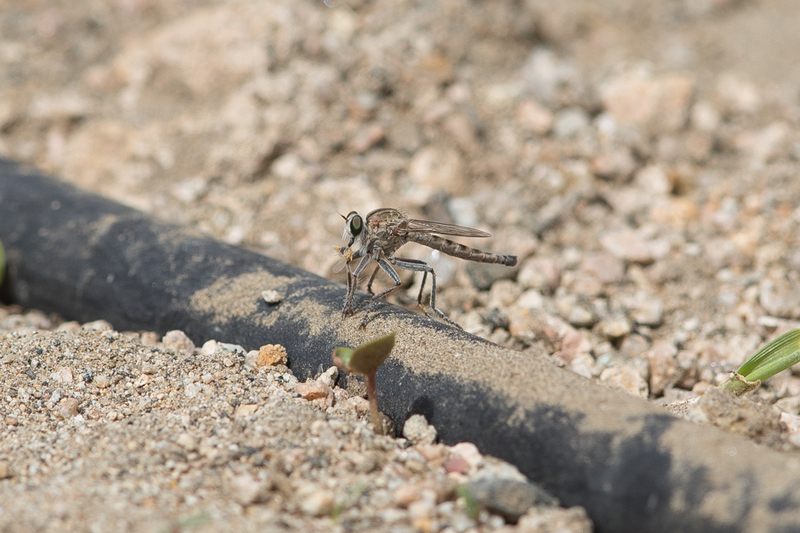 The name "robber flies" reflects their notoriously aggressive predatory habits; they feed mainly or exclusively on other insects and as a rule they wait in ambush and catch their prey in flight. 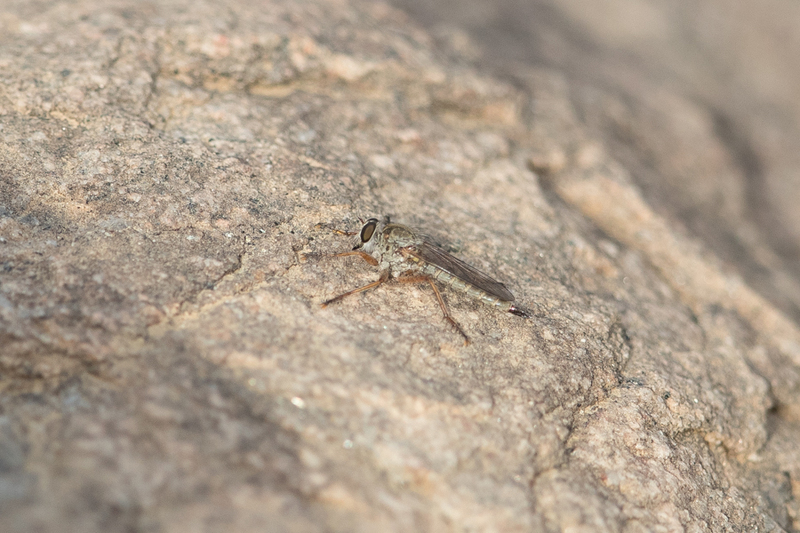 Many Asilidae have long, tapering abdomens, sometimes with a sword-like ovipositor. Larvae generally seem to live in soil, rotting wood, leaf mould and similar materials.